What a line up right? 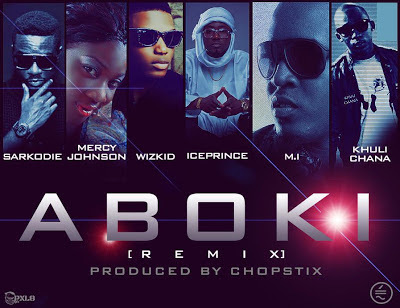 Choc City rapper - Ice Prince has enlisted Sarkodie, Mercy Johsnon, Wizkid, M.I and Khuli Chana for the remix to his single 'Aboki'. The song which was produced by Chopstix is one of the biggest African collisions this year so far. Is it only me that can't hear Mercy Johsnon's part? Orrrr?